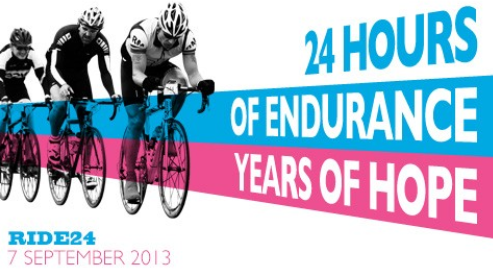 Leading sports nutrition brand HIGH5 is to team up with children’s charity Action Medical Research in a partnership to support the 2013 RIDE24. Riders will receive HIGH5 energy drinks and packs to fuel their stamina-busting, 24-hour, non-stop relay racing spectacular that takes place on Saturday 7 and Sunday 8 September 2013. Organised by children’s charity Action Medical Research and operated under British Cycling technical regulations, the event is open to relay teams of four as well as solo riders. Entry includes free massage, free 24-hour hot and cold cycling friendly food and free energy drinks and packs from HIGH5 – as well as hot showers. The Thruxton circuit is the fastest track in the UK and offers RIDE24 racers a fabulous 2.4 mile smooth circuit with one small climb and wonderful 60-foot wide sweeping bends. The team with the most laps covered in 24 hours wins the coveted RIDE24 WINNERS TEAM title, held for two years now by a team from the University of Birmingham. 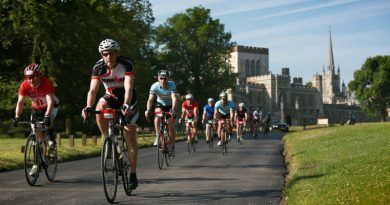 Cyclists participating in RIDE24 raise money to help fund medical research to help sick babies and children. The charity is currently supporting work around Down syndrome, epilepsy, sickle cell disease, and diabetes, as well as some rare and distressing conditions that severely affect children. Last year’s event raised more than £70,000 for the charity.